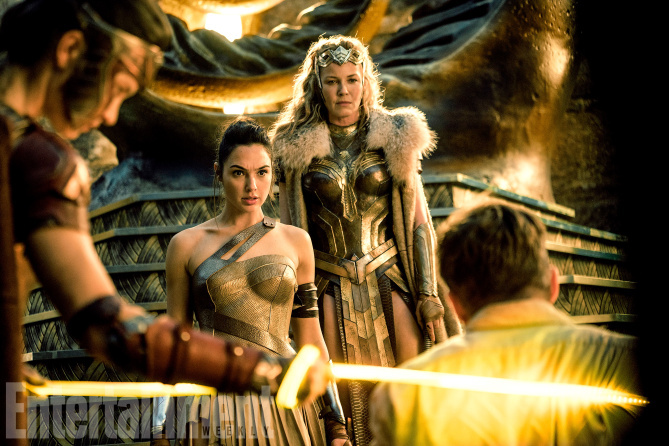 Wonder Woman still - Menalippe, Diana, reyna Hippolyta and Steve. Lisa Loven Kongsli as Menalippe, Gal Gadot as Diana Prince, Connie Nielsen as reyna Hippolyta and Chris Pine as Steve Trevor in a still from Wonder Woman (2017). Wallpaper and background images in the Wonder Woman (2017) club tagged: photo wonder woman movie 2017 still gal gadot diana prince lisa loven kongsli menalippe connie nielsen queen hippolyta chris pine steve trevor.